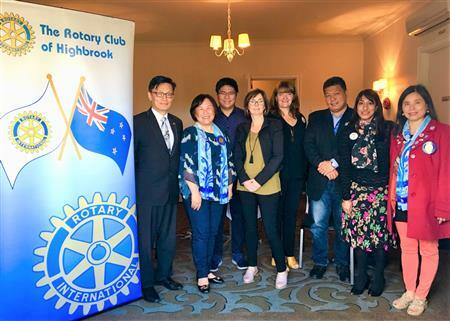 On Saturday 6th April in Panmure, Mt Wellington, the 260-attendee Cultural & Charity Night hosted by Rotary Club of Auckland South, gathered fellows from D9920 Leaders, Clubs members from Remuera, Harbourside, Otahuhu and Papatoetoe Central, together with a wide range of 14 Asian major communities, friends of Rotary and sponsors. The enjoyment not only came from the entertaining elements like dances, but also profoundly celebrated the cause accomplishment of "Shooting for Oxygen" to support The Fiji Oxygen Project in a great cause, as well as an awarding ceremony for five new members in Paul Harris Society and induction for three new club members. 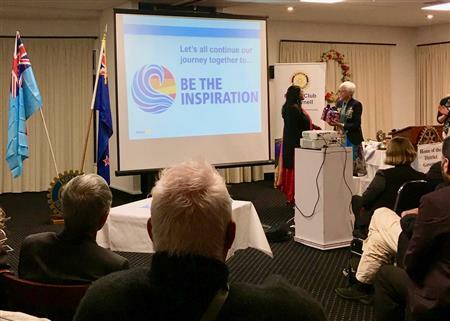 Janet Lee, President of Rotary Club of Auckland South, highlighted the delivery of "Be the inspiration" in each of our project this year, as well as an appreciation for all the club members on their dedication, cohesiveness and passion. Meanwhile the cultural diversity performance was further enriched by presenting live fruit carving arts and subsequently reached out for auction in success. 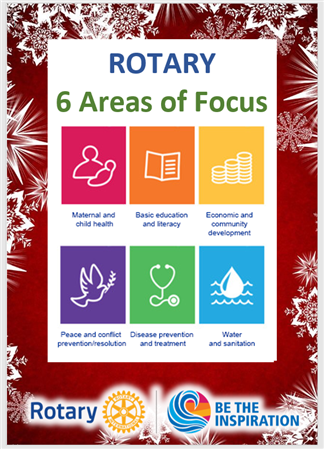 Club presence is now more visible while we are striving to learn and explore Rotary at many more aspects. 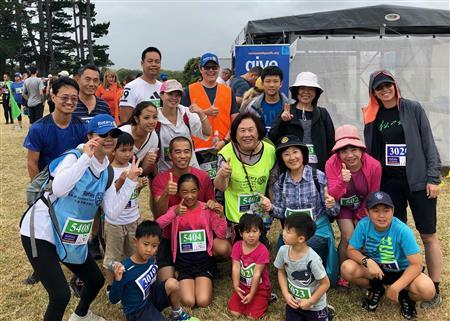 Rotary Club of Auckland South volunteered the DUAL iron man Marathon in Motutapu, an island of conservation area opened for only 2 days every year. The beauty of volunteering was not just serving the players in different off-road running routes but simply an enjoyment from its various landscapes across the island, as well as fellowship and friendship. Volunteers needed to take ferry off at dawn time and returned to the wharf around sunset, undoubtedly being exhaustive, but it apparently was an exceptional experience for every participant there. 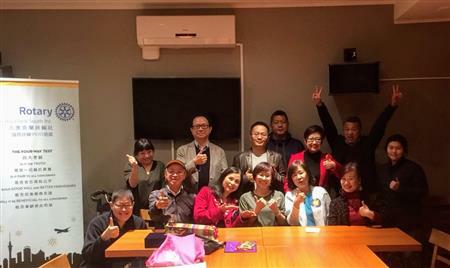 The Board Meeting on 7th February is serving the interests of preparatory meeting for Cultural and Charity Night with many aspects. There will be few rounds of extensive discussions from invitation through on-site execution so let's looking forward to it. Mr Samuel Shih, the new member for 2018-2019, is now officially registered to our Club today. Samuel has been with Kiwi land for 30 years. He has been running his food service company in Auckland for long time, always enjoys fishing either on shores or boats. He joins our club with empathy to help and contribute the communities with his profession and assets. Let's welcome Samuel! How would you get an impression when you meet people or being met for the first time? What signal could be communicating between you from just a hand shaking? 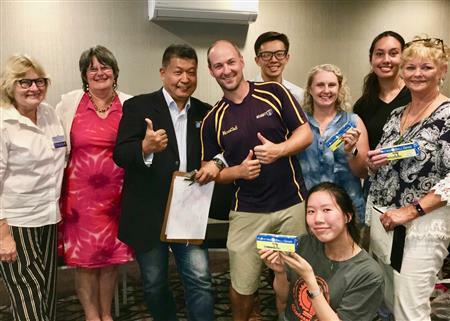 Mr Genlo JuanLu gave the clues from Chinese horoscope point of views to 30+ Auckland South Club members and friends, as well as sharing his valuable insights applied to job interview, meeting, training or many other occasions. 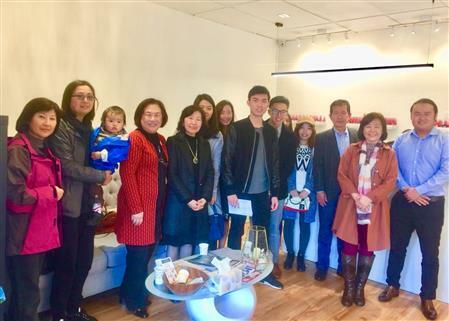 His calibre covered a wide range of professions incl business coaching, sales for luxury goods, campus education etc in Taiwan, new to New Zealand, though. 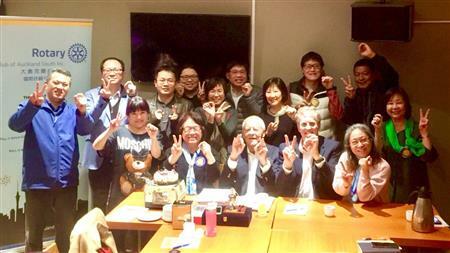 He re-stated the vitality to manage an outlook presentation in decency, especially when we passed aged 40 as faces really tell our minds to build/foster human relationship . 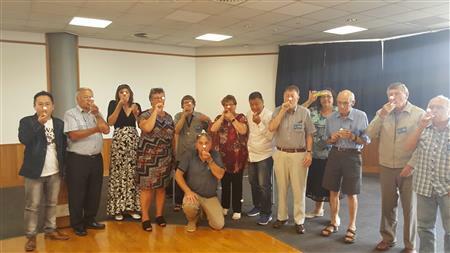 Met Auckland East members at brilliant 5 Knots at Tamaki Yacht Club to give background of Fiji Oxygen Project, and enjoyed blowing the Oxygen balls in the air with everyone. The blowing somewhat helped the digestion after meal, but truly reminded the devastating needs for lack of Oxygen. 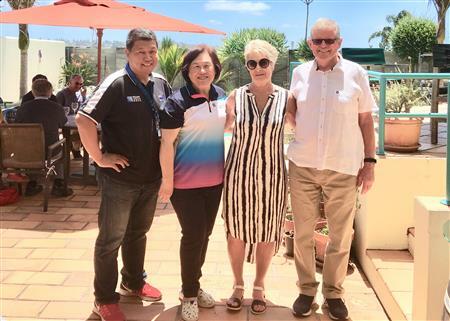 President Bevan offered brilliant hospitality to Auckland South President Janet and delegates and then reached out the excellent donation results. 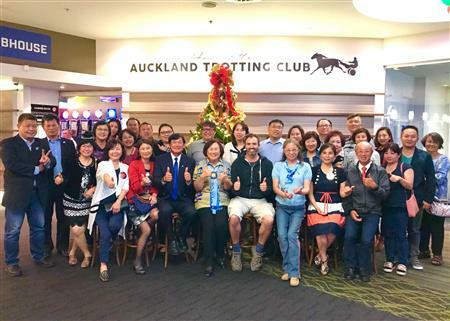 Awesome and thanks a million to Auckland East Club, and we are looking forward to work together for more projects onwards. 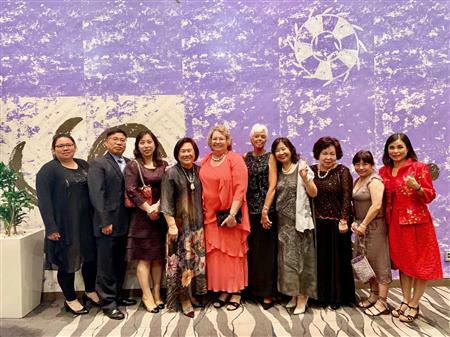 Hosted by RC Harbourside, RC Auckland South was invited to join the Chinese New Year Charity Gala Ball in Sky City Convention Centre 24th Feb 2019. The amazing event gathered more than 450 fellows and friends to enjoy the authentic Chinese New Year celebration to support CureKid project. The success of this event is beyond description. Multiple spots to share today: Marketing halo at Post Shooting-for-Oxygen to achieve 3 major highlights: Demonstrate energy of our club and awareness, magnetise new blood for membership, as well as achieving the innovative fund raising scheme to support Fiji Oxygen Project. 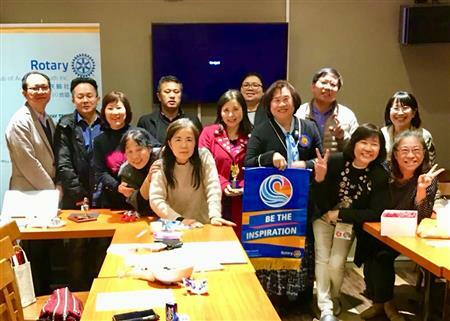 Youth Programme is developed to leveraging more Rotary resources, and most importantly, an official kick-off on the Rotary Day as Cultural and Charity Night preparation. 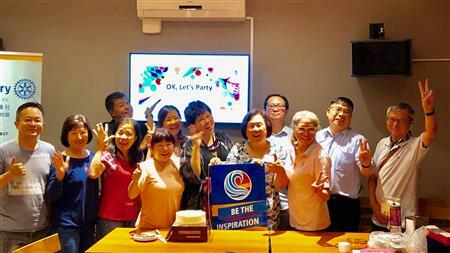 Meanwhile, a big welcome to Linda Lin, PE of Rotary Club of Tainan Lucky (District 3470) to join our meeting. Fun Run Walk... a big applause to RC Highbrook to organise the event in professional delivery. All set-ups were flawless to build a worry-free running environment, all you need to do is simply to enjoy cardio and pick up the pace. Awesome! 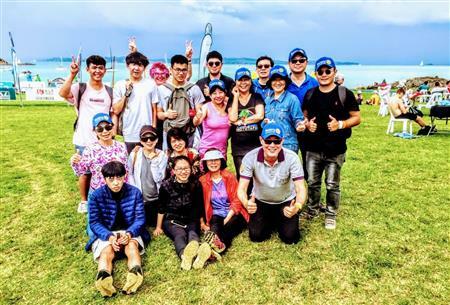 It's really fun to gather a 20-legion of Rotarians from Auckland South Club with friends and enjoyed a cool-breeze afternoon. Most Rotarians chose group of 1 km Walk to enjoy stretch alongside the route, especially a chance encounter with DG Ingrid for group photo. 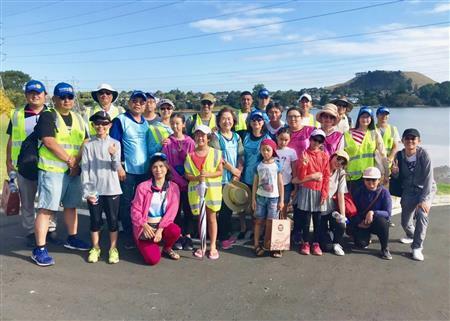 President Drajit from RC Papatoetoe Central invited Auckland South members to share the story and actions for "Shooting for Oxygen" to support Fiji Oxygen Project. Presented by Madison, the Shooting for Oxygen is designed to accentuate an experience-driven fun game to achieve fund raising outcome, the Oxygen Floating Ball set can emotionally please everyone for fun and challenging lung capacity, but at the same time, it is meaningful as a social catalyst to rationally reflect the critical needs for kids in Fiji on their medical devastation. Our floating ball sets were sold in fingertips, it was motivated by the extraordinary empathies amongst Papatoetoe Central members while some portions of them are descending or migrated from Fiji. We look forward to work with the Club for more projects onwards. Thank you Papatoetoe Central. Have you ever explored a challenge composed of 8 continuous funny adventures with groups of friendly pirates? Find the pleasant answer in Panmure Basin on 10th February with RC Auckland South. The torrid heat didn't stop our passion to assembly 8am and then guide visitors alongside the Basin into our game, together with many other neighbouring stalls in variety. Each visitors, mostly kids with parents, enjoyed their fun day and proudly present the rewarding stamps when finished each adventures. Over 1,000 visitors came to the stall 466 and delivered their empathies by either donation, volunteering or enjoying the fun game. 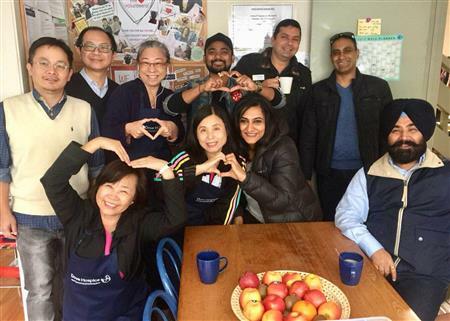 Organised by RC Auckland South, the "Shooting for Oxygen" event successfully reached out the experience-driven participation. 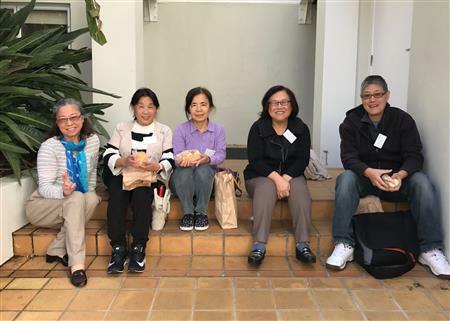 Moreover, volunteers from Remuera, Pakuranga and Auckland South shared the story about Fiji Oxygen Project to support, motivated in-stall enjoyment and accomplished friendship between the clubs. 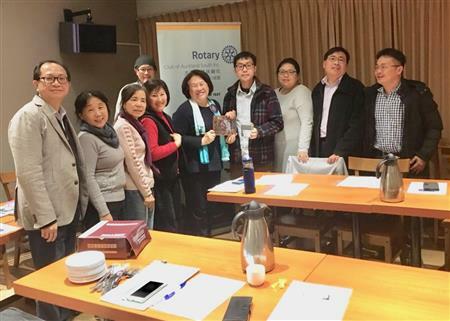 Janet Lee, President of Auckland South Club, acclaimed the overarching collaboration leads to a greater success for all the Rotarians. 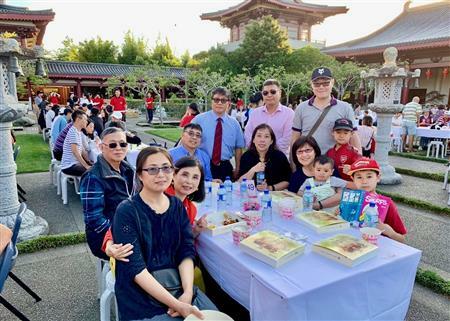 The event to celebrate Chinese New Year Market Day was estimated with around 15,000 traffic in good portfolio and with colourful Chinese cultural diversity. The gold coin to donate for oxygen ball to toss/shoot and win the free prize delivered satisfactory fund raising in the form of fun game, furthermore the prize of Oxygen Floating Ball set reminded empathically the needs for Oxygen and reflected the situation for kids in Fiji. "The Shooting for Oxygen event on 2nd Feb was a very important part of our fund raising efforts but we have more." Janet added. There were a number of presentations to promote with Oxygen Floating ball sets have been done in Manuwera-Takanini, Pakuranga, Otahuhu, Somerville and Harbourside. We appreciated all kinds of supports from fellow clubs and District 9920 to grow this young mighty club. Secretary Madison and Vocational Service Johnny piloted the promotion for Oxygen Floating Ball to back up Fiji Oxygen Project. More than RC Pakuranga, the presentation was done to the Tamaki River Auxiliary Club as well. 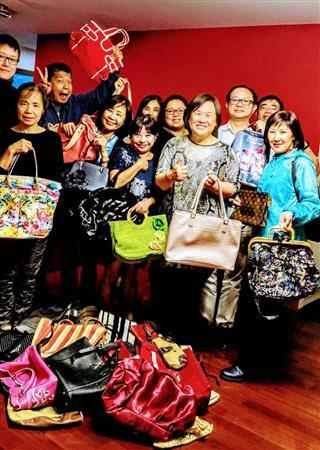 Composed of multi ethnics and ages, the young and energetic club soon expressed the strong intention to involve the Fiji Oxygen Project more than donation. Later 8 volunteers have been confirmed to join the promotion/fund raising tasks on 2nd Feb 2019 in ASB Showgrounds. 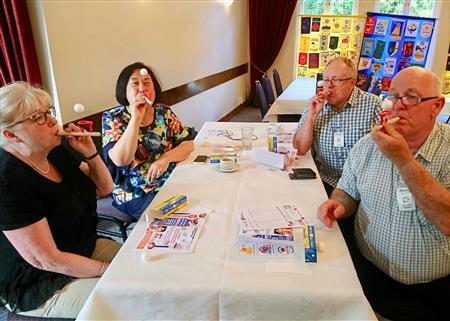 RC Auckland South came to RC Otahuhu Club for a 15-min presentation, and practiced blowing the floating ball sets for fun. While RC Otahuhu is fully aware of background of Fiji Oxygen project, and contributed donation to the project already. 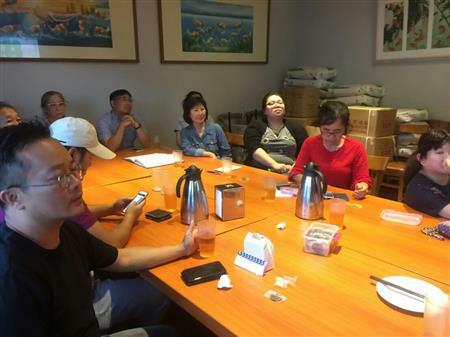 All the attendees showed high interests and actioned for fund raising immediately. Santa is coming back to Howick to celebrating its 65th anniversary... Thousands of crowds alongside Picton Street expected the parade and lollies with excitement and waves. The Rotary Clubs group was undoubtedly one of the hotspots in the parade. Gathering Rotarians from Sommerville, Howick, Pakuranga, and Auckland South, the Rotary group placed the greeting message by each sandwich board, together with traditional costumes to garnish the formation. 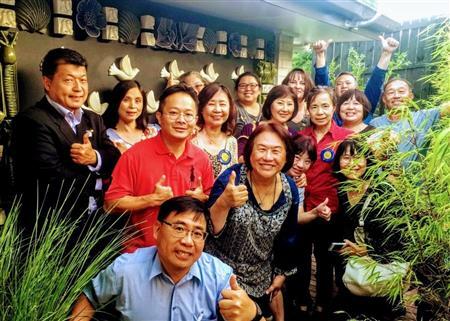 Hosted by AG Gabrielle on 9th Dec, Auckland South President was cordially invited along with counterparts from Cluster clubs including Auckland Airport, Mangere, Otahuhu, Papatoetoe West, Harbourside and Papatoetoe Central gathered a sweet luncheon. Gabrielle and Willard offered warm hospitality and catch-up with Presidents and partners. Special club meeting preparing for the upcoming Howick Santa Parade to promote different community services and send our holiday greetings. 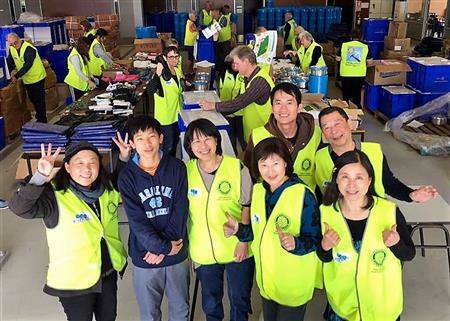 Rotary Club of Auckland South members gathered together to put their hands to work to produce the messages used on the day. Rotary Club of Auckland South received the receipt for donating NZD1000 for supporting 'Days for Girls' from Rotary Club of Suva. 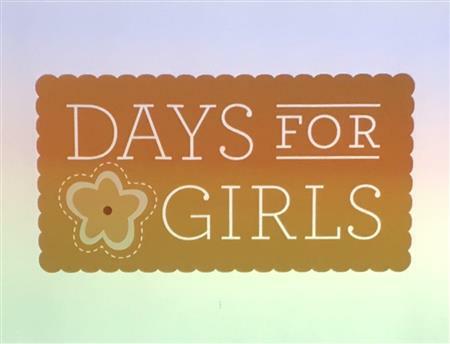 'Days for Girls' is a feminine hygiene program that empowers girls and women worldwide with more dignity, health and safety through quality sustainable menstrual management. 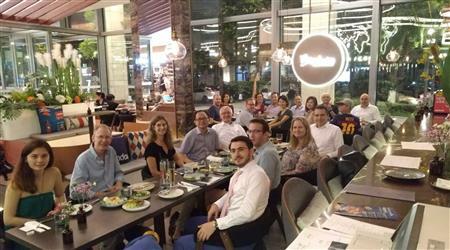 The AGM offered a chance to look back a fruitful 2nd half in 2018, as well as citing an energetic 2019 for kick-off. The AGM retrieved the past half year on major milestones, as well as lesson-and-learn to mapping for the forthcoming 6 months. Club meeting for Fiji Oxygen Project update with progress for the upcoming stall displays. Finalized budget and ordering to move further towards our goal. The ONE-hour club meeting really manages time productivity. It features the corporate membership of RC Highbrook with more business portfolio and enables the Club more energetic and focuses. A very fruitful learning on meeting productivity, protocol as well as rich content discussion by RC Highbrook in a sunny morning today. Indian New Year Charity Dinner hosted by Rotary Club of Auckland Harbourside (Inc). 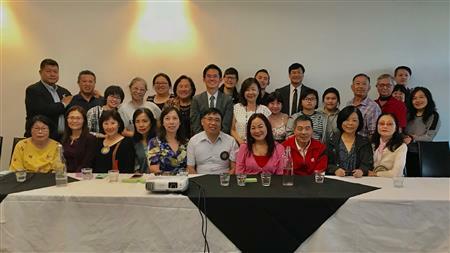 Attended by members of Rotary Club of Auckland South. Fund raised for this event will be used for various Rotary charity programmes. 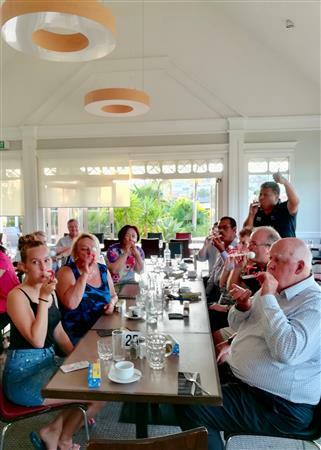 WineFriend Wildcard Wine Evening hosted by Rotary Club of Remuera Inc. 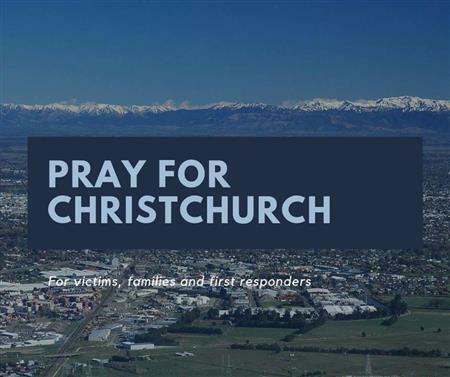 Supported by Rotary Club of St Johns and Auckland South. Participated by President Janet and Secretary Emily. More exciting news! 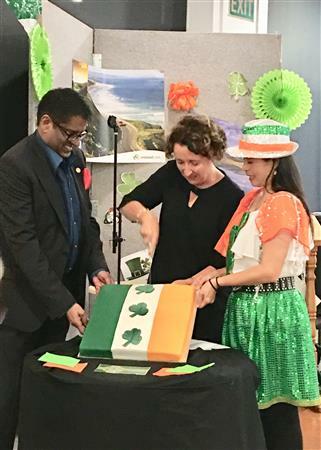 Hosted by President Janet Lee, the entire members of RC Auckland South toasted the glory of citation from RI, and consented one of the anchor projects of Fiji Oxygen in collaboration with RC Remuera. The Board members also granted new membership of Madison Chang, who has solid professional career with 28 years with digital business consulting experience. He has been committed to take PR function for RC project coordination. 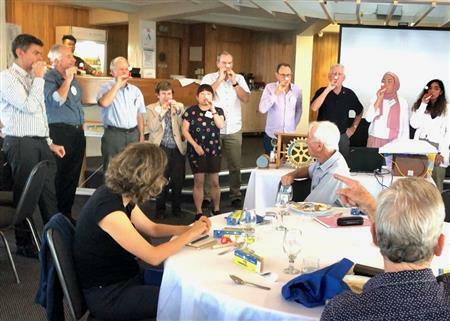 Every Rotarian, including newly elected Councillor Paul Young, paid full attention to the presentation by Madison about the Fiji Oxygen and related framework of fund raising schemes, the passion was contagiously shared to serve the communities more than Chinese or local, but also the empathy to international regions. 25th October 2018, the monthly meeting for October primarily update the status of Oxygen Project in partnership with RC Remuera and CureKids Fiji. 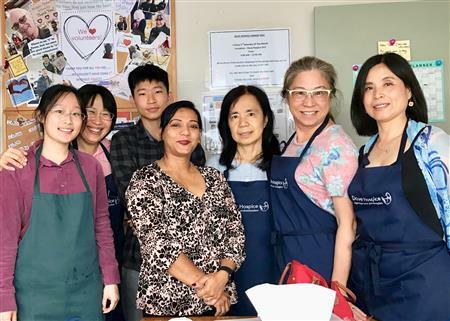 RC Auckland South has weighted the Oxygen as one of the anchor fund raising project and it came to an ideation, structure and campaign development throughout the year. 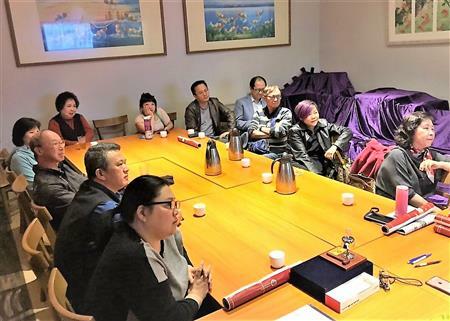 It is approaching a timing to heads-up with some leaders in Chinese communities to be scheduled in November. 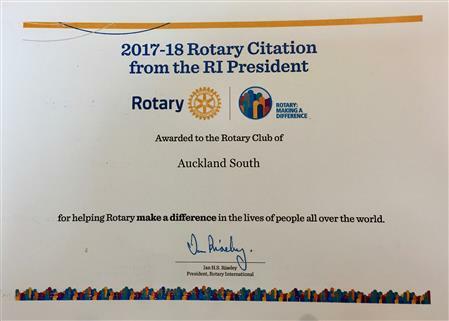 18th October 2018, an honour of 2017-18 Citation from the RI President was bestowed to RC Auckland South. President Janet Lee and IPP Daisy Ping attended the Citation ceremony. 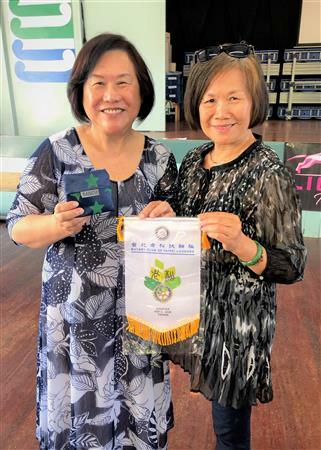 In the stint of 2017-18 President, Daisy is recognized to demonstrate her strong leadership to explore RC Auckland South in tremendous success, and now it relays to Janet magnetising more people to be part of Rotary family. 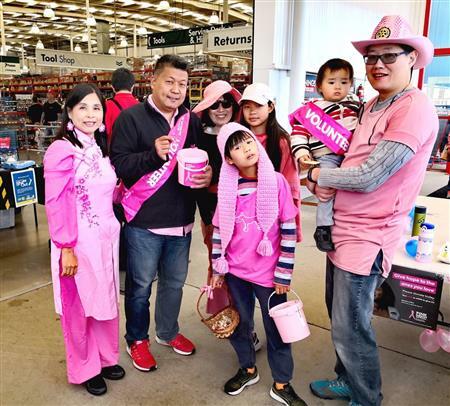 The sunny weekend with breeze embraced a meaningful event of RC Auckland South to support Pink (Ribbon) Appeal Breast Cancer Foundation in Botany area. Organised by the Community Service team, the fundraising was enjoyable with the warmness of pink spirit. 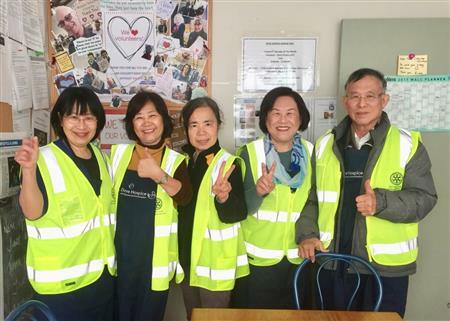 Club members from Auckland South are always proactive to participate the community activities and socially provide our service in quality and commitment. The response by people's priceless smile is as valuable as their donation and it is our pleasure to keep working with the Foundation later. 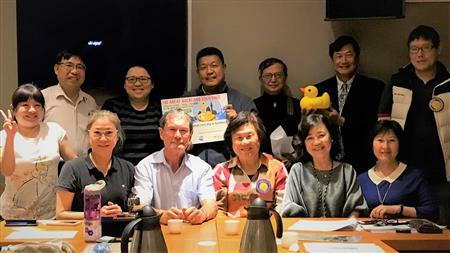 Hon Peter Salmon, project leader of The Fiji Oxygen Project from RC Remuera came with James Young to visit RC Auckland South on 13rd September 2018 to introduce the Project, and he appealed the involvement from Auckland South to consider the contribution and support broadly from Chinese communities. Speaker of the month introduced ShelterBox to participants, presented by Charles Lambert (ShelterBox Ambassador from Nelson West Rotary Club) and Jimmy Griffith (ShelterBox volunteer team member). 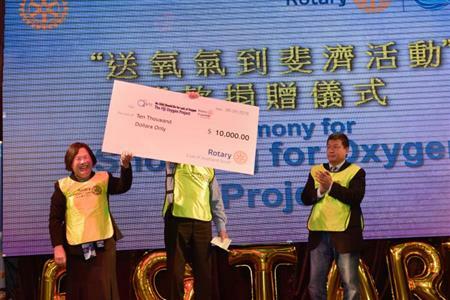 ShelterBox is a not-for-profit organisation and a Rotary International Project Partner which has been nominated for Nobel Peace Prize 2018. Thank you Vocational Club Officer Johnny's arrangement on August 14th at 11am for our first vocational trip this year. 16 people visited the location to experience the journey of beauty where new techniques and technology have now come about. The business has been operating in Parnell for five years and run by three young entrepreneurs. DG Ingrid Waugh officially visited our club, accompanied by AG Gabby Gimblett-Martin and Foundation Chair Willard Martin. 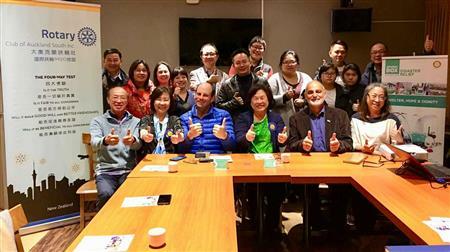 The evening was also accompanied by Taiwan youths visiting on a 'Bridging Program' and new member induction. Viva Eclectika ... ... 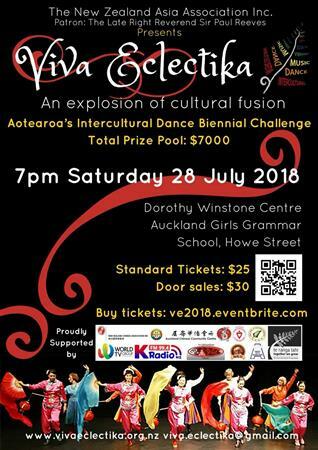 When the East meets the West and the Old sparks with the New ... ... What an fantastic intercultural dance biennial challenge organised by The New Zealand Asia Association Inc. Diverse music, glamorous clothing and skilled dancing by 10 different groups, the competition was truly intense. 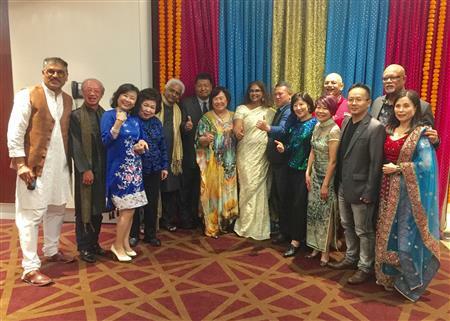 Congratulations President Vivian Chow and team for another successful event and once again to all the dancers who performed at RC Auckland South's Cultural Night. 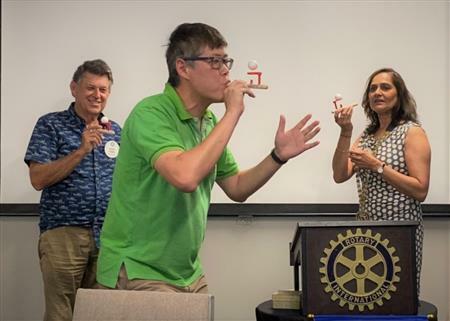 Speaker of the month, Mr Paul Young shared with us his journey of the local board election. Don't forget to enrol if you qualify to vote in New Zealand. 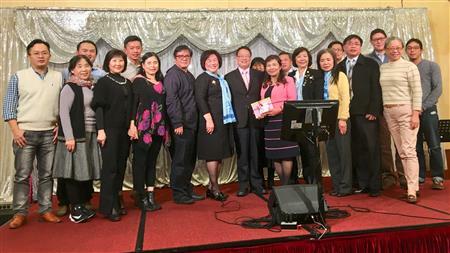 Rotary Club of Shanghai Fellowship Dinner. Thank you Clement for sharing with us your visit to RC Shanghai, I'm sure you had an enjoyed gathering at this lovely Spanish restaurant. 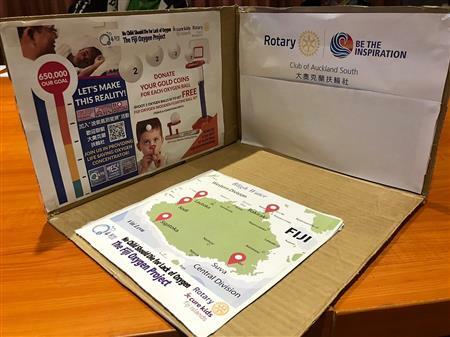 For over 35 years Rotary NZ's Emergency Response Kit has been providing immediate relief to our Pacific Island neighbours in times of natural disaster like cyclone, flood, tsunami or earthquake. Each kit contains more than 60 essential items for a family in an emergency. Members from our club working hard with other Rotary volunteers packing and assembling this year's kits. District officers changeover ceremony held at Quality Hotel, Parnell. Rewarding night with heart warming award presentations. 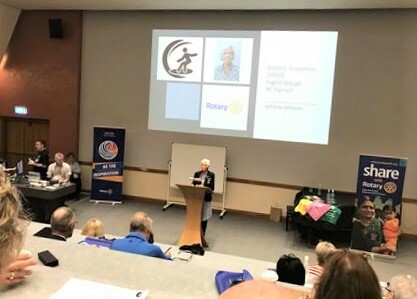 Congratulations to IPP Daisy for being awarded "D9920 Most Enthusiastic Rotarian 2017-18" which she absolutely deserves (in my opinion). 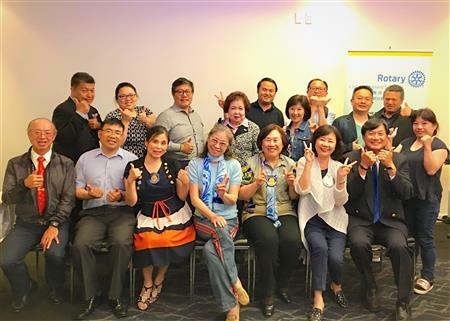 I look forward to work along new District Governor Ingrid and her team towards another amazing Rotary year - be the inspiration! 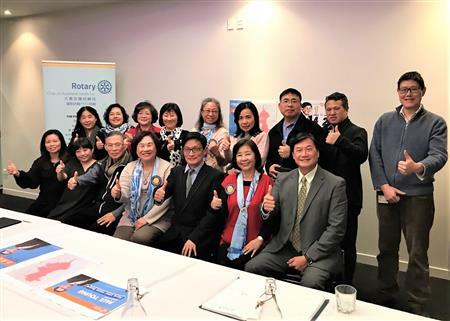 On the 14th June 2018 Rotary Auckland South had their change over from Daisy Ping to Janet Lee. We thank everyone for their support to have an outstanding and unforgettable year! Now that we begin our next chapter with Janet's Service of 2018-2019 we hope for your continued support in our vision. 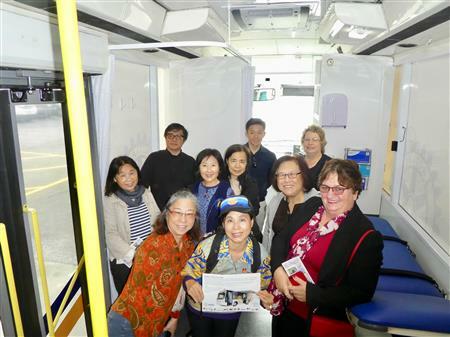 Visit Mobile Health Clinic. The project took approximately 2 years to complete, with an overall cost of $171,000. Funding was sourced from four Rotary Districts (9920, 9940, 9970 & 9980).